When your paint starts to fade or it’s merely time to switch things up with a splash of colour, enlist the help of Daryl’s Painting Ltd. We specialize in repaints and endeavour to complete every job promptly and professionally with minimal disturbance to your household, business or tenants. All you have to do is pick up the phone and give us call. 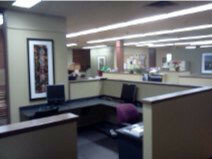 We’ll take care of moving the furniture, removing the light switches and placing drop sheets to protect your property. To ensure a smooth and even finish we can patch and sand any holes or imperfections in your drywall. It’s all part of our dedication to delivering the best results. Whether you want to patch a portion of your textured ceiling or add the look to one or more rooms we’re your go-to source for textured ceiling repair and installation. For homeowners we typically recommend a sheen of eggshell and for rental properties, condos and strata properties something with a higher sheen of satin to give the walls a more washable surface. Not sure what colour or finish to choose? During a colour consultation we can match your existing paint, a fabric sample or paint chip to help you find the perfect colour. All of our labour comes backed by a 1-year warranty. Please call us for a free estimate on your painting project in Surrey, Langley, Abbotsford, Aldergrove or the surrounding area.